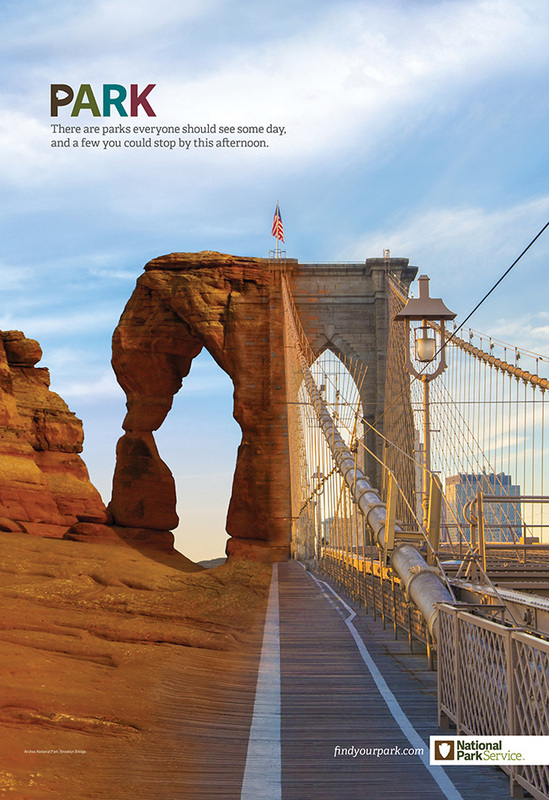 Grey New York is doing some fancy Photoshop work to highlight the glory of American nature and monuments in a compelling new outdoor and print campaign for the National Park Service. 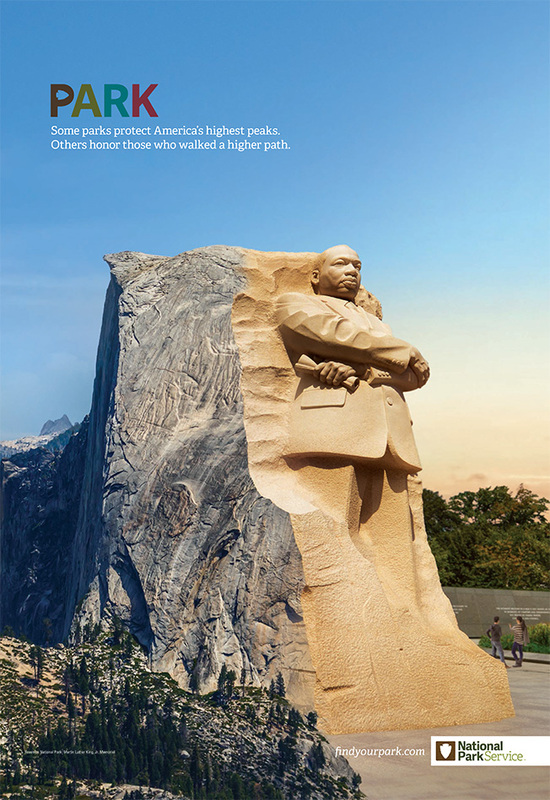 The agency is using mashups to contrast the diversity of the 407 American destinations overseen by the government agency. "Visually we're explaining the idea in a quick snapshot," Grey group creative director Sean Crane told Adweek. "We're trying to redefine the word 'park' in North America. We want people to realize it's more than just trees and grass." 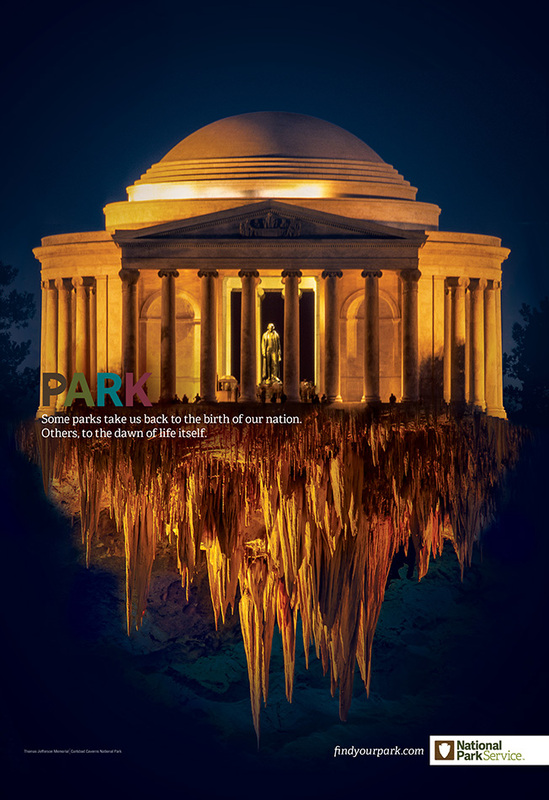 The execution, which launched this week, marks the second phase of an initiative leading up to the National Park Service's centennial next August. 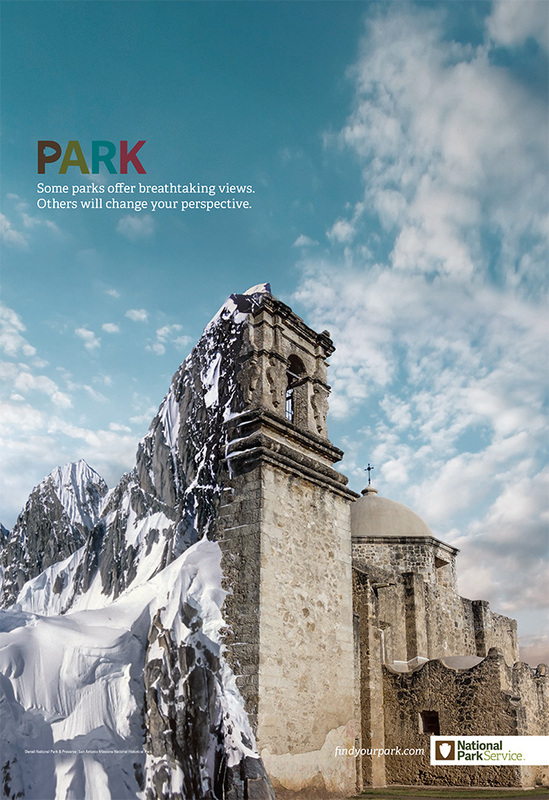 The campaign aims not only to raise awareness of the country's landmark parks, but also to increase visits to less popular urban sites and drum up interest among younger, more multicultural visitors. In addition to print, the campaign uses digital and social media.